Embrace the winter coat. There is no easier way to look pulled together than to throw on a really great coat. This is one item I would advocate spending money on. You want to stay warm, you’ll wear it every day, and you’ll want it to last (and look great!) all winter long. To be honest, if you get a good coat, it should last (style-wise and durability-wise) for several seasons. Sports Teams – your winter coat should not have any sports team logos on them. Bad, bad, bad. Quilted — I don’t care if it is made by Burberry….these coats are for 60 year old women. Oversized Parka — unless everything else you are wearing is stylish (think stiletto boots, skinny jeans)…you might as well throw on a pair of mom jeans. In my mind the best winter coats for moms hit at the hip (so they look good with flats), are warm, have a really great flattering shape and have some kind of cool style element – either a great color, pattern, button or other detail. Read below for my favorite coats of the season. The Peacoat is really a perfect mom winter coat. It’s warm, it has flattering lines, and this season, it comes in a wide range of interesting versions. The black peacoat below left is the Funnel Neck Coat by Michael Kors, $295, found at shopbop.com. I like the funnel neck, serious buttons and flattering cut. 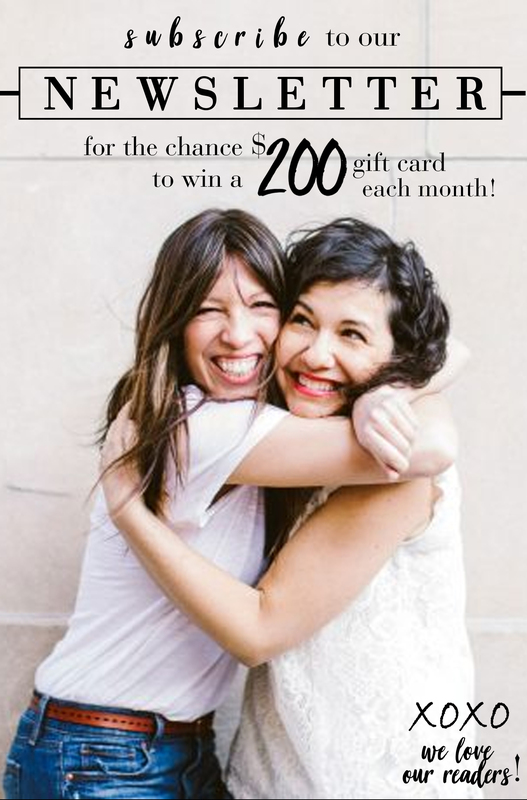 Moms looking for an easy, immediate dose of sophistication — this is for you! You’d be hard pressed to find anyone who does the classic peacoat better than J. Crew (below right). It’s the perfect cut, comes lined in Thinsulate for those of us living in serious cold, and comes in a wide range of colors. I’m in love with the light pumpkin color (pictured), but it also comes in red, turquiose, camel, navy and a beautiful heather charcoal. 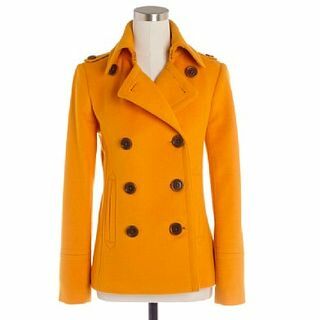 A brightly colored peacoat is an easy way to give a drab wardrobe a bit of fun. Bomber jackets are best for climates that are a bit more mild. In other words, if you live in Minneapolis, skip this section. A little bomber jacket allows you total freedom of movement and they look great with sneaks or winter boots. This is a great playground jacket. Bombers are by nature, very, very cool. This season, you can take the cool factor up a notch by finding a wool bomber in a funky plaid. Show up in a little plaid bomber at the playground and I promise you will rule the style scene. I love these jackets with a little cashmere skull cap. The blue plaid bomber above left is Charlotte Ronson’s 3/4 Bell Sleeve Jacket, on sale at shopbop.com for $270. This jacket hits below the hip (a little lower than most bombers) and the bracelet sleeves are perfect for showing off a pair of extra-long gloves. The swing-y sleeves give a surprisingly elegant line from the back. The yellow plaid bomber above right is the Checked Bomber from Topshop (Yay! They ship to the States!). If I’m doing the currency conversion correctly…it’s about $100. 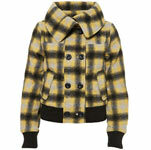 Everything about this jacket is cool – the bomber fit, the fold-over collar, the surprising yellow plaid. Add a little charcoal knit hat and gloves – SO cute. If you are looking for something a little more fashion-y (less classic, less rocker) look for a coat with either a swingier cut, or with interesting details like oversize buttons, or an asymmetrical hem. The trick it is to find these fashion-y details in a coat that is still mom friendly. The coat above left is the fabulous Greta Jacket from J. Crew in Sweet Potato, $375. The cut is a little longer, but still flat shoe friendly, and the color is to die for. The cut is a trendier swing-y shape, but one that I predict will be a classic for years to come. The coat on the right is a younger style, but one that will work for any mom under 40. 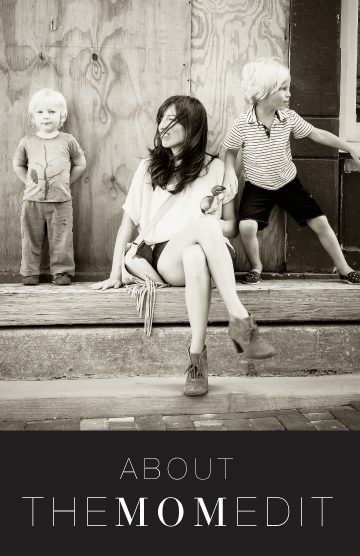 This coat is the Soia & Kyo Teo T Short Oversize Button Coat in Loden, $320 at revolveclothing.com. I love the combination of the serious tweed with the funky oversize buttons and sophisticated cut. Ok – so people love these coats. I understand the allure — they are warm. True. So if you have your heart set on a puffer, then try to find one with sophisticated styling to keep you from looking like a cross between the abominable snowman and a teeny bopper. The one good thing about a puffer is that due to the water resistant fabric they are a breeze to spot clean. So if you are going to embrace the puffer look, you might as well channel a sophisticated snow bunny and get a cream puffer. There’s nothing more sophisticated than a cream winter jacket, and a cream jacket made out of water resistant fabric is – actually – mom friendly. I really like both of these puffer jackets. They are both sleek, the right length (both can be worn with flat shoes) and each offer some sophisticated detail. The puffer on the left is the Cropped Puffer Coat from Banana Republic, $175. I like the sleek fit and the foldover neckline. The puffer on the right is the Soia & Kyo Diagonal Stitch Jacket from Nordstroms, $185. The oversize buttons and nipped in waist make this one more stylish and flattering than the average puffer. If you are expecting this winter, you ideally want a coat that will work during pregnancy (even the really big belly phase the end) and after. Your choices are to either find a maternity coat that has a good drape (and therefore will work post pregnancy), or you want to find a short, swing-y coat that will fit over a big belly. Shorter is better in this case – you’ll want you belly to poke out of the bottom.The pic at left is me in my Iro coat 2 days before I delivered. My Iro jacket is no longer available, but the French designers came out with a similar swingy jacket in black. This jacket, called Iro’s Funnel Neck Jacket, can be found at shopbop.com for $348. The cream coat above left is from the queen of maternity wear, Isabella Oliver. The Funnel Neck Jacket, $330, also comes in black which will probably be a smarter choice for after pregnancy. This jacket is 100% wool, is fitted through the shoulders, then drapes beautifully — which will allow you to wear this jacket for many years post pregnancy. Like the Isabella Oliver jacket,the cape pictured above right is also fitted though the shoulders, then swings out. It is the Antonio Melani Hilane Cape, $219 at Dillards. Previous ArticleFound! A Comfortable High Heel Boot!